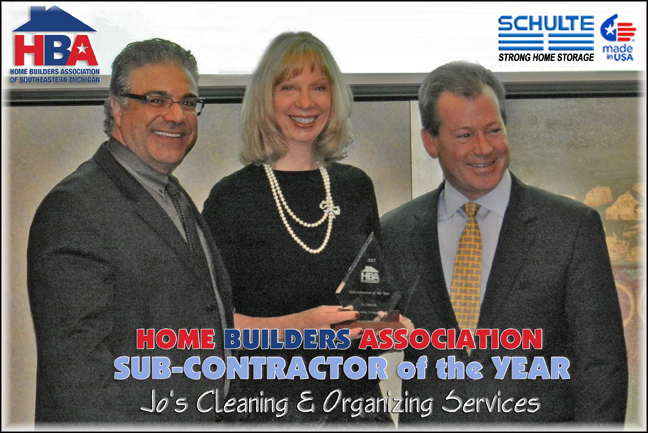 After being honored last year by the Michigan Home Builders Association, with the “ASSOCIATE of the YEAR”, JO’s Organizing is so very proud to receive the “SUB-CONTRACTOR of the YEAR” award, for this year. Without all the hard work from the Staff and all employees, this would not have been possible. We have created quite the team here at JO’s Cleaning & Organizing. We have worked so very hard at servicing S.E. 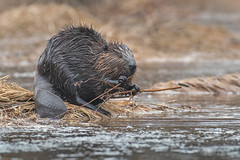 Michigan residents, for over 28 years now, and take great pride in what we do. To be honored like this, 2 years in a row, by the Organization we respect the utmost, is something that makes all the hard work, so very rewarding.